Get employees on board with new #learning and #development software. Engage at every touch point through gamification. @InspireSoftware Tweet This! In the current business world, growth opportunities are everything to the survival of your company because they help you retain talent. By 2020, 46% of all U.S. workers will be millennials, and millennials care about the growth of their professional careers. 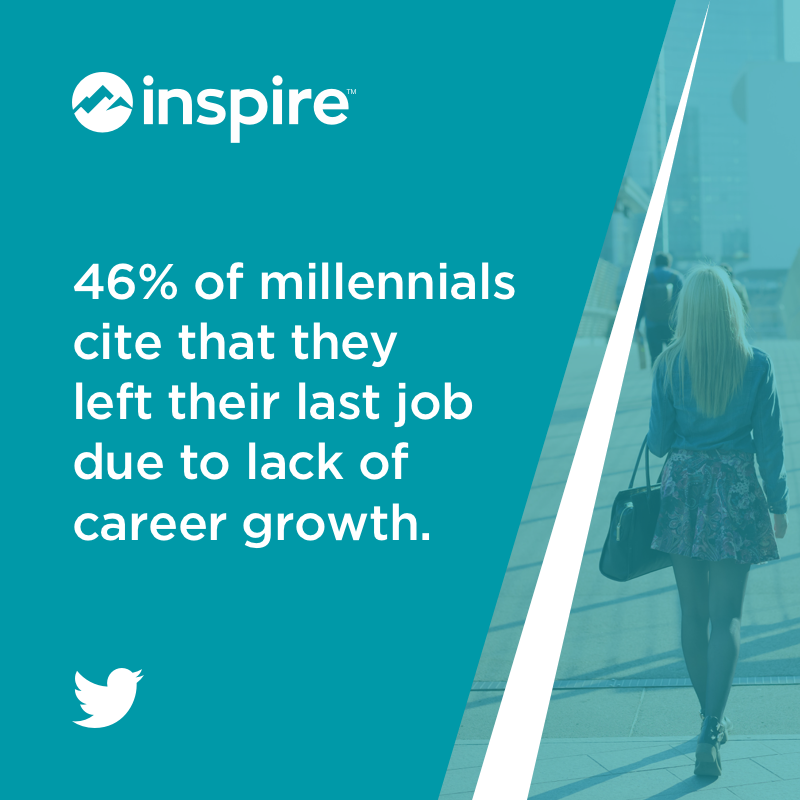 Additionally, 46% of millennials cite that they left their last job due to lack of career growth. Training needs to cater to the individual if you want your employees to accept it. Your efforts should reflect the diverse backgrounds of your diverse workforce. No two people like all the same things, think the same way or learn the same way, so cater to what makes them unique. While some employees favor online courses, others prefer personal, one-on-one coaching. The key to inspiring enthusiasm and interest in the learning and development software is to present it as an opportunity for employees to learn skills and gain competitive advantage in their professional careers. What types of training will my individual employees need? My departments? My specific groups of employees? How should we account for different learning styles? Will we introduce a rewards-based system for training completion? What will the rewards be? Are my expectations for adoption realistic? Ask your team members what kind of training they’re most comfortable with – Showing humility and empathizing with your team will help them see the investment as an opportunity to be a part of the growing organizational culture. Highlight software benefits – Focus on new software qualities/features that make employees’ jobs & lives easier. Host a “Lunch and Learn” to make the activity more engaging. Offer tailored incentives – Reward employees for completing the training in ways that fit their unique desires and needs. Create a timeframe (with goals) for training completion – Build the calendar for training completion to integrate the software, learning and skill development faster. Encourage learning at all levels – Make opportunities for growth and learning available for everyone in the organization from the top to the bottom. Incorporate new skills into real projects – To help the software’s learning and development stick, assign real projects to those that complete the training to incorporate the new expertise in current projects. Making the work-life balance just got a lot easier, but the best part is it’s not some magic trick: it’s gamification. When you think of gaming, you probably think of Xboxes or PlayStations, right? But gamification is more about engaging employees than it is slaying dragons on a video game console. 70% of business transformation efforts fail due to lack of engagement, while companies with engaged employees have 2.5x higher revenues than companies with low engagement. The key to getting employees on board with new learning and #development #software is engagement. The best way to do this? Gamification. @InspireSoftware shows you why:Tweet this! Incorporating gaming and gaming activities into your engagement strategies is a surefire way to get employees excited and on board with just about anything. Gamification improves the work experience of 91% of employees, and increases productivity across U.S. companies. Additionally, 87% of employees agree that gamification makes them more productive. The key benefits of gamification are motivating and engaging employees to get involved with the development and integration process. Whether it’s the rewards your employees receive for competing or the ability to innovate faster, experimenting with gamification helps create buzz around the technology in your organization. Play Jeopardy or trivia to get employees learning the features and key lessons from the software. Divide employees into groups and create a competition to see which group can get the highest cumulative score on the training program. Use gamification to your advantage by sparking interest in the learning and development software. The last important staple to the process is to get feedback from your employees. Ask them how it went, what they liked and what they think could have been done better. Don’t just show empathy for their opinions, use them. Take their feedback and plan the next steps in your new learning and development strategies. Why? Because change is required for any company to create a sustainable business model, and chances are this won’t be the last time you integrate new development software. Inspire Software's leadership development platform integrates learning and development in your organizations goal-setting strategies. Request a demo and start building strong leaders in your organization today!